Pre-heat the oven to 200C (conventional). Halve the courgettes lengthways, scoop out the flesh with a spoon and dice it then set-aside. Place the halved courgettes onto a large enough baking tray and drizzle with olive oil. Meanwhile place a medium-sized frying pan on a medium heat with some olive oil and once the pan is hot enough add the red onion and cook for 4-5 minutes until softened. Add the courgette flesh and crushed garlic to frying pan, season and cook for a further few minutes. Add the chopped tomatoes, tomato purée, oregano, chilli flakes, paprika, golden caster sugar and a good amount of seasoning. Mix well and simmer gently for 10 minutes. 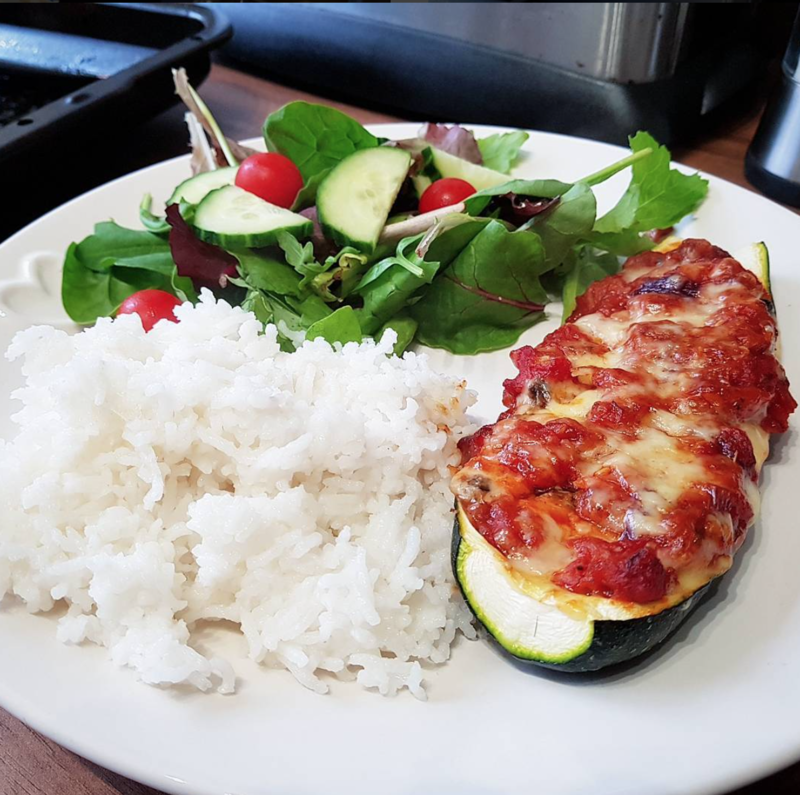 Spoon a little of the mixture over each courgette half, then add the olives and a sprinkling of cheddar, then add more tomato mixture and top with cheddar to finish. Bake in the oven for 15 minutes until the cheese has turned golden brown then serve with rice and a side salad.